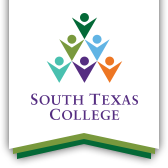 The Development Corporation of McAllen, Inc. will award South Texas College a $259,440 job-training grant, Thursday, Dec. 6. This grant will help increase the total number of high skilled, high wage manufacturing jobs in the Rio Grande Valley by providing customized training related to advanced manufacturing for companies located within the city limits of McAllen. Funds will be used for equipment, salaries, and supplies for the Institute for Advanced Manufacturing. The funding period for this grant is from Oct. 1, 2018 to Sept. 30, 2019.
Who: South Texas College and the Development Corporation of McAllen, Inc. When: Thursday, Dec. 6 | 10 a.m. – 11:30 a.m.